IOP Marine’s cleaning solution specifically designed for the removal of scale, rust and heavy oil. Ultra Rinse is a synergistic blend of components, which enables rapid penetration and removal of deposits that are normally resistant to acid cleaning. The cleaning solution issuitable for use on all metals and other hard surfaces inluding wood, plastic, tiled and painted surfaces. The products can be used in simple immersion systems or with ultrasonic and low pressure spray techniques. 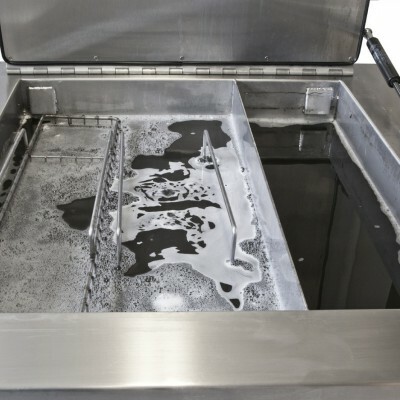 After cleaning, components should be thoroughly rinsed in water.